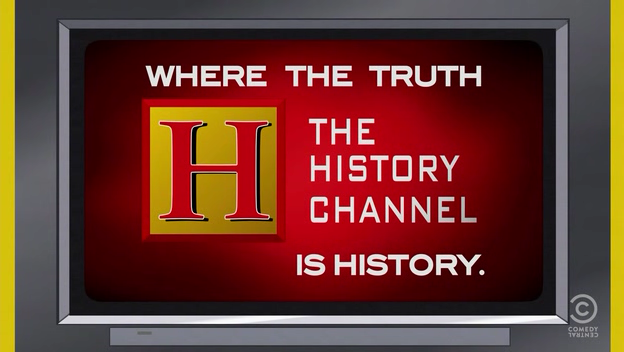 Chris Rosebrough continues his review and correction of the History Channel's Secrets of the Bible Revealed. On Nov. 25th Rosebrogh dealt with how the History Channel is messing with the definition of "interpretation" by making a strictly literal reading of a text out to be merely an "interpretation." At the same time the History Channel injects its own "interpretation" of Numbers 13 as a "test of faith" which is not in the text. This is attributed to the belief of "traditional" readers of the Bible. 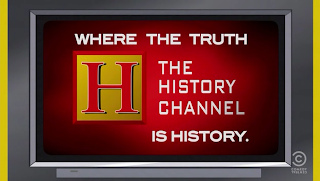 The History Channel is making an effort to support Islam and its claims against the modern state of Israel. This section begins after minute 50 in the program. Next Rosebrough takes on the claims made by the History Channel in the first episode of Bible Secrets Revealed about the Virgin Birth of Christ. The section begins at 41 minutes 28 seconds. The Holy Spirit Speaks to Our Gut Brain? 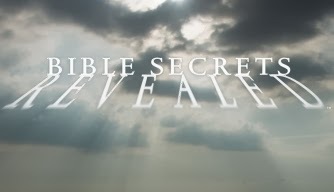 Chris Rosebrough at Fighting For the Faith (F4F) has been dedicating programs in response to the History Channel's new series "Bible Secrets Revealed." 1. To undermine faith in the written Word of God. 2. To argue for the moral superiority of eliminating Christianity, and even Judaism. More goals will become manifest later, but right now it seems this is a pro-Islamic series. In order to help Christians have a better grip on the Bible, Mr. Rosebrough broadcast Pr. Ernie Lassman's Adult Instruction Course on The Bible. Pr. Lassman is from Messiah Lutheran Church, Seattle, WA,--LC-MS. Looking in all the wrong places: Why do Christians leave Church? Blogger Shane Raynor at Ministry Matters™ recently posted an article titled Millennial Myths and the Real Reasons People Leave the Church. Raynor attempts to summarize the problem of overgeneralizing about the Millennial generation in an effort to reach out to them. His goal is to keep them in Church. Both his article and the comments he received are instructive. They demonstrate the vast difference between Pop Christianity and the Biblical Confessional Lutheran teaching in understanding what makes the "Church" "Church". A note on the church and doctrinal background of the website: Ministry Matters™ is a website of the United Methodist Publishing House, an organ of the United Methodist Church. The website itself is designed to cater to any denomination, or non-denominational, without regard to differences in doctrine. Within this smorgasboard of fundamentally differing doctrines they offer this service to help pastors, members, individuals, and congregations. All this is offered without a sound Biblical doctrinal foundation. And without the sound Biblical doctrinal foundation, there is no Church. There is only a self-serving human social gathering that imitates what it thinks is godliness, but denies what God says about how He creates faith and nourishes His church. So they have exactly the kind of religious practice Paul described in 2 Timothy 3. Raynor rightly points out that with all the over generalizing surveys, the so-called Millenials are leaving not only conservative churches, but all kinds of churches: whether they lean liberal or conservative. And it's not just the Millenials. Raynor addresses what he sees as the real reasons people leave their churh, so that those concerns can be addressed in the right way. The problem he focuses on is using statistical surveys (like The Barna Millennials Project) in ways that treat each demographic group as a monolithic social group. He urges that the opinions and experiences of individuals be considered rather than stereotyping them based on surveys. But it is precisely in this issue where he ends up falling into the same errors as the rest of Pop Christianity. Stated simply, one cannot look to the opinions of fallen sinful humans to determine what the Church should be. gifts to which He attached His promise of grace, faith, the forgiveness of sins and the resurrection to eternal life. These gifts are the public proclamation of God's Word without any dilution or mixing, the Absolution, Baptism, and the Lord's Supper. What the Response of Faith Is (with the Lord's Prayer). In the Small Catechism the student is given the Biblical source passages for the Means of Grace which Christ established. And this is done so that the Christian might make use of these Means of Grace throughout his or her whole life of struggle in this world and inherit eternal life as God gives it. Many conservative Lutheran congregations loose members. Why do they loose them? Because, quite simply, those individuals are falling away from faith in Christ alone. Just as Christ described in the Parable of the Sower, some seed falls on the road, some on rocky ground, some among weeds. If Christ described the reaction to His Word in this way, should we be surprised when we see what He described played out in our own congregations or denominations? But here is where Raynor, the Church Growth Movement, the Barna Group, and even many conservative and Confessional Lutheran groups go astray: They create surveys looking to sinful people to try to find answers about how the Church could be different so that those people won't leave. These survey efforts often end up being an attempt to answer cur alii prae aliis (Why are some saved and not others?) by looking for some essential difference in people. And in this way they deny the grace of God by looking for some measurable quality in man as the basis for his salvation. Read the previous paragraph one more time. It is important. Here is Raynor's list of his five main observations. He gives his reason in bold type and his comments in plain typeface. I'll make some annotations after each. They don’t feel like they’re encountering God. Seriously, who wants to leave a place where they’re genuinely experiencing God’s manifest presence? Ironically, the Bible gives several examples of sinful humans wanting to leave the place "where they're genuinely experiencing God's manifest presence." It started in the Garden of Eden when Adam and Eve hid from God's presence after they fell into sin (Genesis 3:8). And just to highlight a few examples: Moses also hid his face from God's manifest presence (Exodus 3:6), the people of Israel wanted God's manifest presence to go away from them at Mt. Sinai (Exodus 20:18-19), the cries of the prophets when God made himself manifestly present to them, in some cases looking for an excuse to avoid the call to be a prophet (Ezk 1:28; Is 6:5; Jer 1:5); Peter's reaction when he realized that he was in God's manifest presence "Depart from me, for I am a sinful man, O Lord!" (Luke 5:8). Were the church leaders and people happy to abide with the manifest presence of God on Good Friday? Another problem with Raynor's first observation is that he does not go first to Scripture to see where and how God says He wishes to make His presence manifest to us. In the Scriptures God not only reveals Himself as the wrathful judge who punishes sin, but also as the God made Man--the Suffering Servant-- who gave Himself as our Substitute under the Law and placed Himself in the Word and Sacraments. Here is where He says He makes manifest His gracious presence for the forgiveness of our sins and the undoing of death itself. Raynor's first response is to look to the world for answers, instead of God's Word. His answer is to deny original sin, ignore the Law of God, and promote a solution which grossly distorts the reality of God's manifest presence as He reveals Himself in Scripture. They want to be equipped to improve their lives, not wallow around in brokenness with perpetually broken people. A Christianity that isn’t changing individuals won’t change the world either. “Misery loves company” works for bars, but it’s not a good long term growth strategy for churches. Maybe people figure that if Christians are as messed up as everyone else anyway, they can just stay messed up while sleeping in on Sunday mornings. Raynor's second observation promotes narcisism as a virtue the Church should embrace. "What's in it for me?" is the basic issue in this observation. He concludes that if the Christianity in Christian Churches doesn't help me to be a better or changed individual, then it's not good Christianity. But the nature of the change is left undefined. He certainly does not point to sorrow over sin, repentance, and faith in Christ through Word and Sacrament. In this case the direction he looks to for answers is the sinful self. By Raynor's measure, many of the Saints mentioned as such in Scripture were not good Christians with respect to his notions on retaining Church members. Abel admitted his brokenness to God and his brother killed him for it. 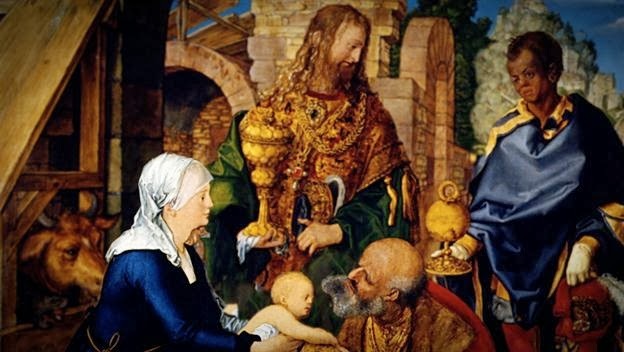 Isaac was old, blind, and maybe a bit senile and had to be deceived by his son Jacob into following God's proclamation about the way the blessings should be given. Yet in Hebrews 11:20 it says "By faith Isaac blessed Jacob and Esau concerning things to come." Naboth was betrayed by slander under the pressure of the queen and put to death. Despite all his preaching of repentance Jeremiah was unable to change the hearts of the leaders of Jerusalem and the city was destroyed. Jonah just kept fleeing God's manifest presence grumbled and complained "It would be better for me to die" when God forced him into His presence to do His work. Poor Lazarus just begged. His life never amounted to anything by Raynor's standard. And nine of the Apostles fade away into obscurity out of the pages of Scripture. Raynor's solution is to make the church people outwardly successful so others want to be around them. In contrast to this the Bible describes the lives of the saints as broken people unable to help themselves. It was God who called them out of sin, gathered them to His Word, brought them to faith in His promise of salvation. It was God who worked in them to keep them in this faith despite their sinful flesh and their many open actual sins. It was God who gave them eternal life through His Son even if they never had a single happy or otherwise productive or seemingly successful moment in this sinful world. By not having the foundation of repentance and the forgiveness of sins through faith in Christ as the real change worked by God, Raynor's suggestion to build by changing focus from brokenness to success leads to the hollow prosperity Gospel heresy. Raynor suggests that the lost members might be just as happy commiserating with those outside the church. If that is the case, I would point out that they also might be just as glad or even more so to celebrate success with those outside the church. Certainly there would be the appearance of acceptance there, as well as much less inhibition against what God calls sin in the ways they choose to call success and how to celebrate it. Such a broken man was made the first High Priest of God to His people, the broken children of Israel. The record of their wandering in the wilderness testifies to their brokenness. (I Cor. 10) Aaron needed to be washed by God, dressed by God, given words to speak from God, given by God a place to do this work, and even the outward ceremonies he was to perform were specified by God. All this was done so that the people could know that their faith was not based on Aaron's supposed success. Rather, it was so they could plainly see that in spite of Aaron's brokenness God still chose to use even him, the great idol maker and deceiver of Israel. Further, He chose to bestow His grace through the ministry God established for Aaron and his broken descendants to perform these ceremonies and no others for the benefit of God's Church until the Messiah came to validate them with His life, death, and resurrection. At the heart of Raynor's second observation is a grave misunderstanding of repentance (μετάνοια="change"). Repentance (change) is brought about by the work of the Holy Spirit through the Means of Grace. In repentance over sin God causes us to look away from self and toward the vicarious Atonement of the Divine/Human Son of God, Jesus Christ. Here is why we must never give up teaching the Second Chief Part of the Small Catechism. The Creed summarizes what Scripture teaches about how we are saved from our brokenness by God. It shows what Scripture teaches about how the Three Persons of the Trinity are involved in our salvation. It shows us where and by whom that salvation was won. It shows us how we are knit together by the calling of the Holy Spirit into the Church of Christ to dwell together in this world in His grace. And it holds forth the Scripture's teaching that our real reward and salvation, our real change, is the forgiveness of our sins and the resurrection to eternal life--not worldly success. They’ve found other ways to connect with people outside of church, including social media. So if the church isn’t offering relationships with substance, why would they want to stick around? There are a million places on TV and the Internet to hear good preaching and teaching, without feeling the awkwardness or pressure that can come with attending church. Now more than ever, the “people factor” and genuine community are important for churches to get right, because people don’t need church to connect anymore. We are at the third observation and Raynor still has not presented anything Biblical. To be clear, he stated that his article is an opinion piece. But shouldn't a Christian's opinion about what the church should be express at least some basis for that opinion in Scripture? Raynor's third observation is an appeal to popularity, niceness, and the quality of the members. It is clear from this observation that Raynor views the Church as nothing more than a religious-ish social club. What is "the 'people factor'"? Obviously from the previous observation, they must not be people who recognize and "wallow around in brokenness." They must be motivated for positive change, in whatever way that might be defined. Somehow the church community is supposed to be different, to stand out from the rest of society so that people will be less willing to leave it. There should be some value in this peculiarity. But Raynor gives no direction to God's Word where God Himself describes the way His Church is different, peculiar, strange compared to the rest of the world. Familiarity with the Gospel of John, particularly Jesus' Maundy Thursday discourse and High Priestly prayer in chapters 13-17 highlight the fact that the Church's distinction consists in this one thing: the members are knit together in the Body of Christ as children of God the Father through faith in Jesus and His active and passive obedience for us. That this faith is not of benefit for us for this world, but for the purpose of the resurrection to eternal life. Familiarity with Christ's institution of Baptism, the Lord's Supper, and the Office of the Keys shows us how God teaches in Scripture that He marks us out as His own special, peculiar people. This is why we must not give up on teaching the Small Catechism not only to our youth but to ourselves and families and congregations until the day God calls us home. 14 I have given them Your word; and the world has hated them because they are not of the world, just as I am not of the world. 15 I do not pray that You should take them out of the world, but that You should keep them from the evil one. 16 They are not of the world, just as I am not of the world. 17 Sanctify them by Your truth. Your word is truth. 18 As You sent Me into the world, I also have sent them into the world. 19 And for their sakes I sanctify Myself, that they also may be sanctified by the truth. We are "sanctified"="set apart" or made peculiar by God through His Word. But instead of looking to the Scripture for understanding and direction, Raynor turns his readers to defining or creating a "genuine community." What is a "genuine community"? Is the word "genuine" here used in the sense of "authentic"? If so, where does this authenticity or genuineness come from? Since Raynor says "people don’t need church to connect anymore" how does the Church generate this elusive genuineness which would stand out so much that people would not desire to leave the church? And if they have to search for it or generate it somehow, is it really authentic? Because Raynor does not at any point in the article go back to Scripture we cannot assume he intends to point people to the Authentic declaration of God about Sin, Grace, and Eternal life through faith in Jesus Christ. We cannot assume he means that we should look to the Authentic and Genuine gracious presence of Christ in Word and Sacrament where He says He comes to us. Are we, then, to survey sinful humans about the nature of this genuineness and authenticity based on their individual and aggregate responses, and somehow create an atmosphere of genuineness from their perceptions and opinions? If this is to be the case, a congregation following this advice is setting itself up for a legitimate accusation of hypocrisy. Advertisers look to shape product perceptions based in part on public opinion. All this ends up being is marketing, because a local church group will not have the kind of flexibility to cater to every opinion about the kind of genuineness is should express. Sometimes people leave because they’re backsliding. Churches can be doing everything right and still lose some people because of this. And although I don’t have a poll to prove it (Has Barna surveyed any backsliders lately? ), I’d guess that young adults are more likely to go through seasons of rebellion than older Christians. The question is, how much do some of the other factors listed above encourage a culture of backsliding in a congregation? It is especially confusing that Raynor's minimally defined "backsliding" is supposed to be corrected by his previous observations. If backsliding is sinning, then how can a denial of original sin or the need to repent and believe in Christ's work be of any remedy? Even here in the topic of backsliding he has still not directed any consideration to the Scripture and what God says in the Scripture about sin, salvation, eternal life or the nature of the Church. If backsliding is not the same as sinning, then what possible authority would the Church have for describing such behavior or words as a failing? They don’t feel challenged. Some of us have tried so hard to meet people where they are that we’ve made church too accessible. Most people want to grow spiritually, and it’s hard to do that in churches that spend an inordinate amount of time catering to the spiritual lowest common denominator. That doesn’t mean we shouldn’t continue to offer plenty of on-ramps for new believers, the lost, and the unchurched, but salvation doesn’t stop after justification. People who don’t feel they have opportunities to move forward spiritually may leave church simply because they’re bored. to implement all these above so that it easier for members to keep themselves from backsliding. But in this final point Raynor says we shouldn't make it easy or too accessible, because then we might undercut their ability to "grow spiritually." Now we have to address the boredom. Again, this is an appeal to narcissism. Raynor's spiritual growth is a totally undefined quantity in this article. As an attempt to address a ostensibly spiritual problem he recommends spiritual growth, but without any direction to what God says about such in His written Word. there really was no spiritual growth to begin with because the congregation did not proclaim Law and Gospel, sin, repentance, grace in Christ, and the objective external working of the Holy Spirit through Word and Sacrament. Rather the congregation and pastor focused on surveys, social projects, and meeting an individual's perceived needs without the Word of God. And this looked just like the world, so why bother with Church? there was a good basis for teaching in God's Word and people were directed to where God says He will be found. But, like many of Christ's disciples, this saying was too hard. And they left Him. It is sad, but this is what we can expect. God said so. In the final evaluation the matter of whether congregations are growing or shrinking or staying the same in numbers is not our primary concern. Neither should we seek after particular preachers because they seem to have a positive effect on Church attendance. Raynor is looking in all the wrong places. We are to remain faithful to the proclamation of the unchanged written Word of God and the correct administration of the Gifts He established in that written Word. It is God who defines what Church is and it is God who builds it through the means He has established. 5 Who then is Paul, and who is Apollos, but ministers through whom you believed, as the Lord gave to each one? 6 I planted, Apollos watered, but God gave the increase. 7 So then neither he who plants is anything, nor he who waters, but God who gives the increase. 8 Now he who plants and he who waters are one, and each one will receive his own reward according to his own labor. And a host of other unscriptural notions. Listen to the podcast of Craig Parton's interview on Issues Etc. where he delivers a very clear description of the attraction and failure of Pop Christian worship and why Atheists have begun emulating Pop Christianity in establishing their own Churches. The coach never came to visit me. The people sitting in my row didn’t seem very friendly. The seats were very hard. The referees made a decision I didn’t agree with. I was sitting with hypocrites—they only came to see what others were wearing! Chris Rosebrough highlighted a talk given by Phil Johnson at the Strange Fire Conference in Southern California this last October 17th. The name of the conference "Strange Fire" is a reference to Leviticus 10:1-6 where Aaron's sons, Nadab and Abihu, presumed to make their own way of worship before God contrary to what God had specifically commanded under the First Covenant. The conference comes from the background of the Reformed churches and is an effort on their part to evaluate the current theological claims and practices of mainly Reformed pastors, congregations, and church bodies. The talk is well worth taking the time to listen to. Many of the points of criticism that Johnson brings up to show where the modern Charismatic movement is un-biblical and dangerous are precisely where Lutherans and other Christians who neglect reading Scripture are vulnerable. Here's the link to Chris Rosebrough's program page at Pirate Christian Radio, where you can download and listen to the entire talk given by Phil Johnson.